“You Are the Lungs,” our video about the way that individual people form part of a greater whole in heaven, was featured on the February 3 episode of The Dr. Oz Show. Throughout the month of February, the show’s Faithful Fridays highlight some aspect of the connection between faith and health. The February 3 show introduced The Blessed30 Challenge from pastor and motivational speaker DeVon Franklin, a program designed to help people focus on the blessings in their lives. 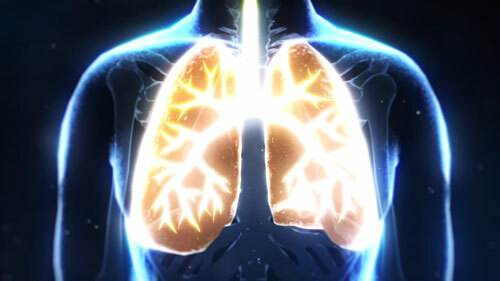 “You Are the Lungs” appeared at the end of the program, when show host Dr. Mehmet Oz introduced it as a video with a positive message from a church in his wife’s hometown (Dr. Oz’s wife Lisa is from the Swedenborgian community of Bryn Athyn, Pennsylvania). If you want to have a faithful Friday (or any day!) of your own, check out our videos “Why Have Faith?” our Faith and Religion Playlist, or any of the other videos on our offTheLeftEye YouTube channel!